Upscale weddings start here! We Love Ponte and have designed fabulous weddings at their location, food and wine are top quality as well as their staff. A hidden gem in wine country. Lake Oak Meadows has the WOW factor many venues lack. Recently upgraded with enclosed Lounge dance area and guest restrooms, the feel is more of a private estate. Fabulous views and wonderful wine. a fave for weddings with 2 locations available at moderate rates. WE love designing at Falkner!! Take a step into Tuscany without leaving California!! Fabulous winery location for weddings and events! Beautiful Location for weddings on the DePortola red wine trail. Great personal service and venue with indoor reception areas for comfortable events year round. Wonderful location and friendly staff, one of our faves for weddings of any size. Beautiful large reception hall and smaller intimate Barrel room. from vow renewals to large festive weddings , many configurations available. Fab find Out in the De Luz mts of Fallbrook! Secluded Private Ranch with Beautifully detailed outdoor reception patio, fountains , Ancient Oak trees for a magical natural wedding setting. The Owners take pride in their customer service and are very attentive to the couples needs. Large estate with rustic ceremony area and upper view reception areas. Very Private and large green outdoor areas. Perfect for an Eco Wedding! Beautiful views! Great for moderate size weddings. It can be a jaunt from the ceremony to the Barrel room, but they can provide golf carts for guests!! Beautiful grounds and fabulous service at Miramonte. Perfect for the moderate size wedding. The patio area is amazing for that Tuscan feel reception. Lovely ceremony lawn with large raised arbor. New wedding venue for Couples wanting rustic and vintage with a Tuscan Option. historic out buildings built in the 1880's and acres of Olive groves . Lovely improved grounds located out in Aguagunga past Vail lake. Perfect for secure private events with pizzaz! French Chateau feeling with a beautiful vista view of the vines. No need to worry about guests traveling far. make this your destination! Great location for more intimate weddings, Awesome Italian cave style room doubles as a chapel. 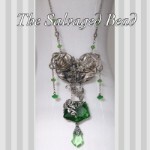 Designed In California from Vintage and Antique beads and findings. Skillfully crafted by hand. From amazing Ear Fobs to lavaliere and drop necklaces, Perfect for Brides and Bridal party. Custom Commissions are available. We have won the 2016 Brides Choice award from Wedding Wire. Selected by Couples for our 5 star flowers and service! !